Summary: This walk is truly delightful which involves walking through a lovely wooded glade to the most sublime tarn which is in a beautiful setting. 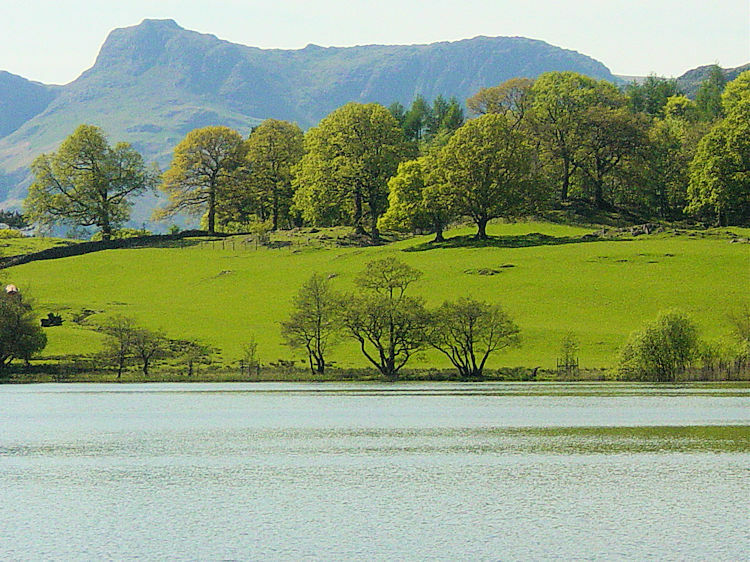 On a clear day there are awesome views of the Langdale Pikes to be had while you relax on the shore-side of the tarn. 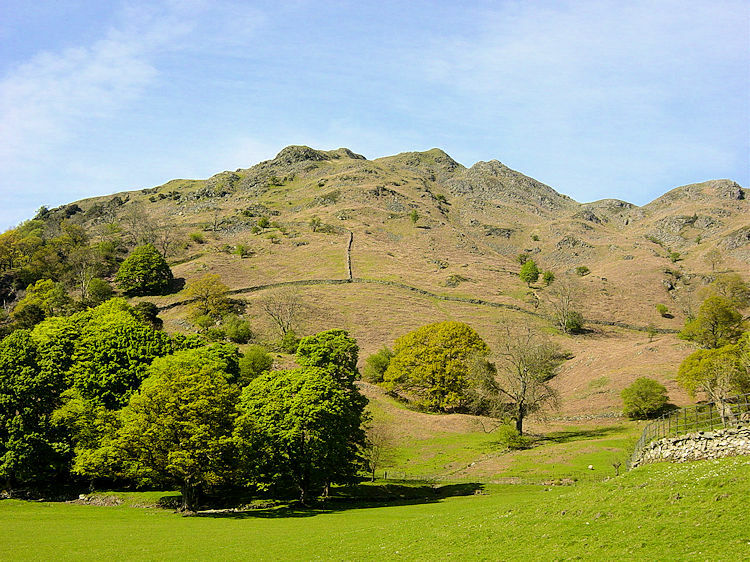 Also, it is one of the best places in the Lake District to enjoy a picnic so why not take one with you. 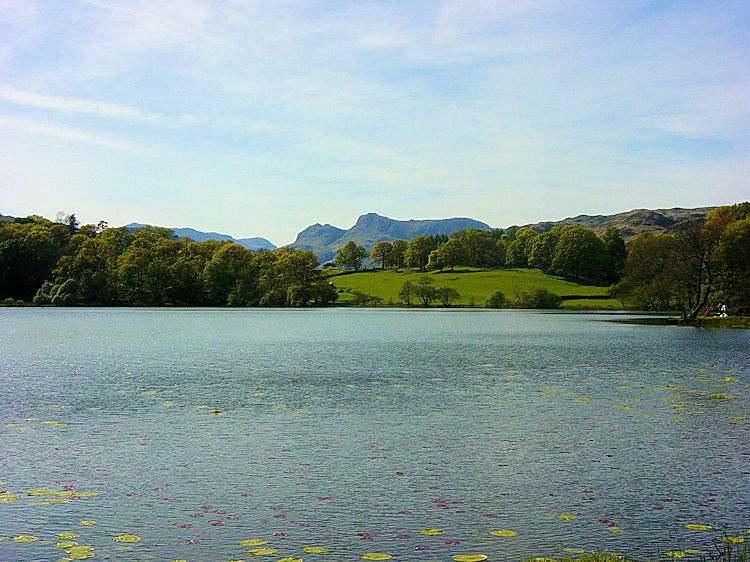 Loughrigg Tarn is a beautiful place, a tarn I first visited in 2005 on a wonderful warm sunny day in May. I often venture back when with my wife Lil for it is always a place to allow relaxation, a serene location to dismiss the stresses of life. As with it being a favourite of mine, it was also a favoured place of William Wordsworth, who, in his Epistle to Sir George Howland Beaumont Bart, likened it to "Diana's Looking-glass... round clear and bright as heaven", a reference to Lake Nemi, the mirror of Diana in Rome. He knew a good place to contemplate and compose too. Most people walk to the tarn from Ambleside as I did on my first occasion but the best way is to start from the roadside car park off the B5343 near Little Loughrigg Caravan Park. From the car park follow a track through the wooded fell in a north direction to Crag Head. From here it is a simple matter of turning east and crossing the quiet tarn side road to access the tarn itself on the north side. Now its time to chill out and find a place for the family to play and plot the site for the picnic. 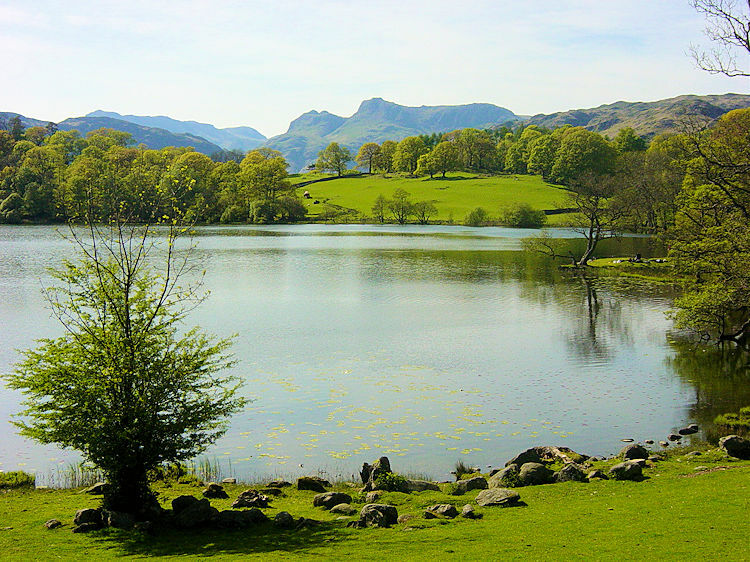 After your break for refreshment it is time to take a leisurely stroll all the way around the tarn but do not forget to look up to the north west for the most fantastic views of the Langdale Pikes. If you're feeling energetic you just might contemplate being up in the heights of the Langdale Pikes like I always do, it is a wonderful place too. For today though my thoughts are to the low ground and less energetic activity but beautiful nevertheless for I love Loughrigg Tarn and while here I take it all in as I complete my ever so slow round of the water. There is no rushing with this walk at all, it is all taken sedately. After finishing my round of Loughrigg Tarn it is a simple task to meet the road again and follow it a short way to Crag Head for a gentle walk back to the car. Great, a lovely walk and I am not even puffed.